It is no secret that Lucknow is one of India’s most historically rich cities. Home to many magnificent monuments, the city is a tourist and heritage lover’s paradise. People from across the globe love to visit Lucknow to relive its glorious past and soon they will have the chance to witness a new chapter in the city’s history unfold itself through ‘basement tourism’. In a startling discovery, restoration agencies have unearthed two new storeys — one at the iconic Chhatar Manzil and one at Kothi Farhat Bakhsh. Seizing this opportunity to attract more tourists to the city, the authorities are considering developing a kind of basement tourism where not only the basement but even the hidden storeys of the monuments will be open for the public. Lauding the idea, Yogesh Praveen, a city based historian told HindustanTimes, “Basement tourism is a unique concept. Our city has many monuments with basements and their associated stories and myths, all of which will go a long way in attracting tourists”. The storey at Chhatar Manzil was unearthed a few months back when labourers began digging what was believed to be the foundation of the structure to carry out repairs and maintenance. Instead they found several pillars going deep inside the ground. Some more digging revealed artistically-carved sand stone brackets and a glorious 15×15 room beneath the earth. The stone brackets could be an indication of another storey buried inside as these brackets are usually situated at the top and were used to place sheds. Similar pillars with stunning stucco work were unearthed at the Kothi Farhat Bakhsh. According to a report in the newspaper, it is not confirmed whether the discoveries are the basement or another storey as historians are of the view that there could be more buried inside the earth. Excavation is still in progress but the idea has been accepted by IIT BHU and the structures will be open for the public once the work is complete. 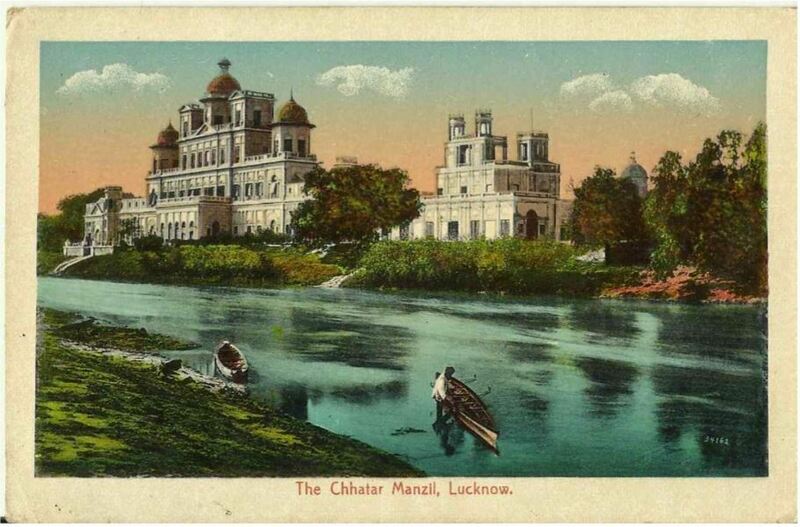 Situated at the banks of river Gomti, Chattar Manzil served as the abode for the rulers of Awadh and was a bastion of the revolutionaries during the revolt of 1857. It was used first as an American NGO, then as the United Service Club and finally as the CDRI. It has now been vacated and the Government plans to set up two museums and a library to revive its lost charm. Kothi Farhat Bakhsh on the other hand, is largely known as Chhatar Manzil since its annexation to the structure but it was originally constructed by Claude Martin, a French General who called it his ‘town house’. It was later named Kothi Farhat Bakhsh by Nawab Saadat Ali Khan who purchased it from Joseph Queiros, Claude Martin’s agent. The building served as a residential palace for the Nawabs and Kings of Awadh till Wajid Ali Shah shifted his residence to Qaisar Bagh and hence, it was also called Qasr-e-Sultan or the Palace of the king. Chhattar Manzil and Kothi Farhat Bakhsh are among the lesser known gems of the city and given that basement tourism is indeed a different concept, we hope that together it attracts more tourists to Lucknow and encourages people to re-discover its lost glory.